NEW CLASS DATE: March 16, 2019. Please call for more info. Reiki Mississippi is proud to offer the very first approved Reiki CE course for nurses in Mississippi! Our goal is to encourage professional caregivers to practice self-care by using this simple method of stress reduction and relaxation, which also promotes healing. NEW CLASS DATE March 16, 2019, In the Fondren area of Jackson~~ contact us now for more info. 3/24/18 First Graduates of Reiki 1-Nurses CE approved training session. We had an AMAZING time together! Reiki is renowned for aiding in stress reduction, which is often an issue for professional caregivers. Did you know hospitals and healing centers across the nation are beginning to offer Reiki training? Millions of people around the world enjoy using Reiki as a means of stress reduction, relaxation, pain relief, and to promote well-being. ANYONE can do Reiki! Our beginning class is a comprehensive, one-day intensive that is taught with nurses in mind. 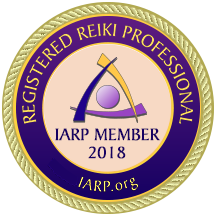 In addition to receiving your 10 hours of CE credit from the Mississippi Nurses Foundation, you will receive a Reiki Level One certification issued by Reiki Mississippi. As a certified Level 1 practitioner, you are able to give Reiki not just to yourself, but to others, such as your family or pets. Reiki will be something you can do the rest of your life! Want to know more about Reiki? Read our information pages, or give us a call! Isn’t it time to try something NEW? This class is limited in size and will fill quickly. There is a one time discount for early-bird registration, so take advantage and register today! Owner of Reiki Mississippi and Reiki Master Practitioner/Teacher since 2008. Note- Tracy will be out of country 8/20/18 to 9/6/18. Please leave me an email, I will be checking in when I can! Registered nurse and Reiki Master Practitioner/Teacher since 2017.